According to the Lake Champlain website, stories of a large aquatic animal living in the region predate European exploration. Called "Tatoskok" by the Abenaki and the create that has come to be known as "Champ" or "Champy" is also found in Iroquois legends. French explorer Samuel de Champlain is credited as the first European to see and describe such an animal, although there is speculation as to whether this occurred at Lake Champlain. The regional website reported that Champlain wrote in his journal about the creature. ". . . [T]here is also a great abundance of many species of fish. Amongst others there is one called by the natives Chaousarou, which is of various lengths; but the largest of them, as these tribes have told me, are from eight to ten feet long. I have seen some five feet long, which were as big as my thigh, and had a head as large as my two fists, with a snout two feet and a half long, and a double row of very sharp, dangerous teeth. Its body has a good deal the shape of the pike; but it is protected by scales of a silvery gray colour and so strong that a dagger could not pierce them." As more and more Europeans colonized the area around Lake Champlain, the legend of Champy only grew. 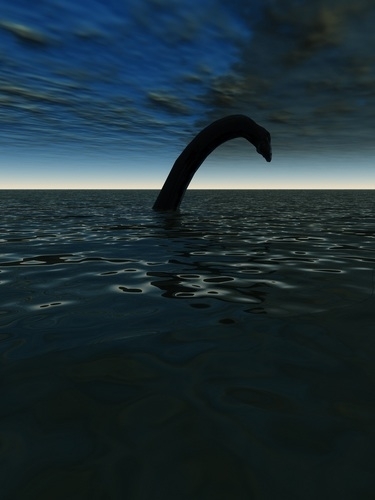 In 1819, the Plattsburgh Republican reported that an enormous monster resembling a sea horse and measuring upwards of 187 feet in length had been spotted. Throughout the 19th and early 20th century, tales of a massive aquatic animal popped up in folklore as well as in major newspapers such as the New York Times. Genesis Park found that many photographs and videos have surfaced in more recent years reporting to have captured the beast. This has only given more fuel to the fire, although very little in the way of substantive evidence for Champy actually exists. Eager explorers may use advanced technology to find the beast, while amateurs can use their PRO TREK PRG270-7 triple sensor watch to hone in on the animal. Nevertheless, Champy enjoys protection from both the Vermont and New York state legislatures. The Vermont Lake Monsters, a minor league baseball team based in Burlington have also taken the legend to new heights. Lake Champlain is a long but very deep lake nestled in the Adirondack mountains. Still, in modern times it is a very popular location for boating, fishing, swimming and commerce. With so much human activity, the plausibility of a population of sea creatures patrolling the water is low. Like the Loch Ness Monster, folks who believe the myth have concluded that the creature is likely a hold over from the Mesozoic Era. In fact, many individuals who claim to have seen the beast have stated that Champ is a plesiosaur, an aquatic relative of dinosaurs that must have survived into the present day. Recent sightings are most likely either an instance of misidentification or a clever hoax. Otters, large sturgeon fish and other species may be mistaken for Champy, as well as floating debris or vegetation. Meanwhile, the Museum of Hoaxes found that one of the most famous photos of Nessie was later found to be a well-orchestrated ruse.